The interstellar transport ship KRONA-C17 is commandeered by an energy life form. The sole survivor, LT. KENALI TAL escapes to a nearby planet composed of a 99.999% toxic atmosphere. 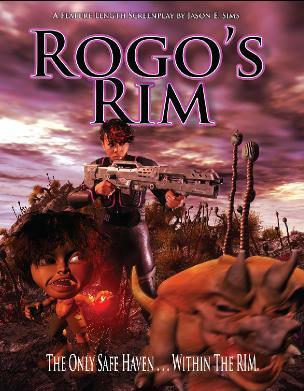 Within a mile wide oxygen based safe zone called “the Rim” lives the humanoid life form named ROGO and a four-legged creature known as THE HOOTEN. Destined to become allies against the impending threat, Kenali Tal, Rogo & the Hooten begin the adventure of their lifetime. How will Kenali survive? Will she? This page feature the original concept art featuring live action and animated characters. Since this time the project has shifted to a full animation production.